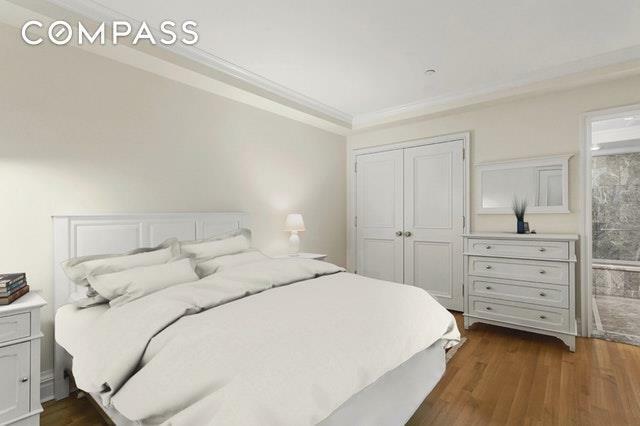 This luxurious 1 bedroom residence is located in one of Manhattans most desirable neighborhoods in a classic Park Avenue pre-war condominium. No detail of this home was overlooked providing true elegance. The spacious living room and bedroom are outfitted with solid oak floors, large windows, and beautifully customized built-ins. 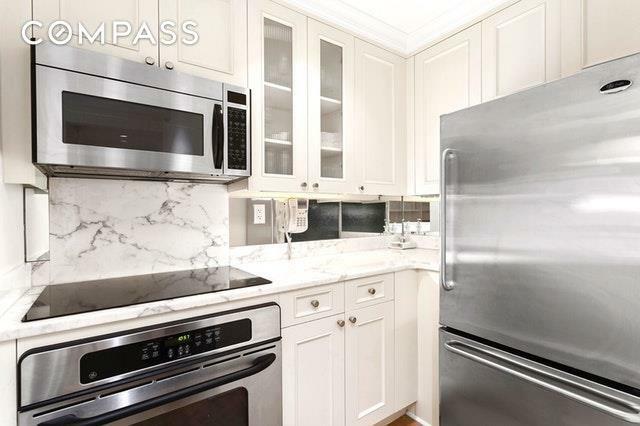 The fully equipped open kitchen features stainless steel appliances, dishwasher, garbage compactor, white wood cabinetry marble countertops and mirrored backsplashes. 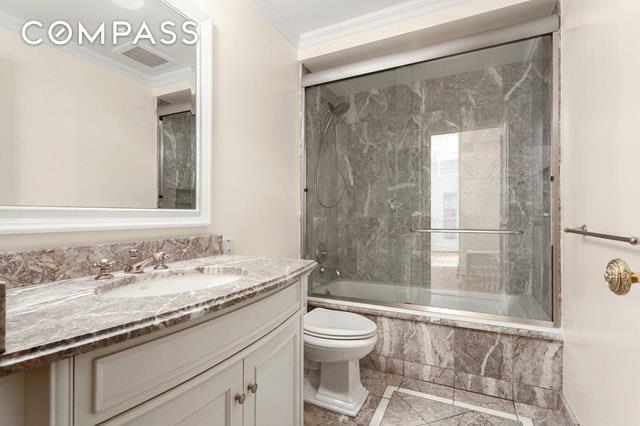 The spa like bathroom has Fio di Pesco marble, white wood cabinetry and watermark chrome nickel fixtures and finishings. 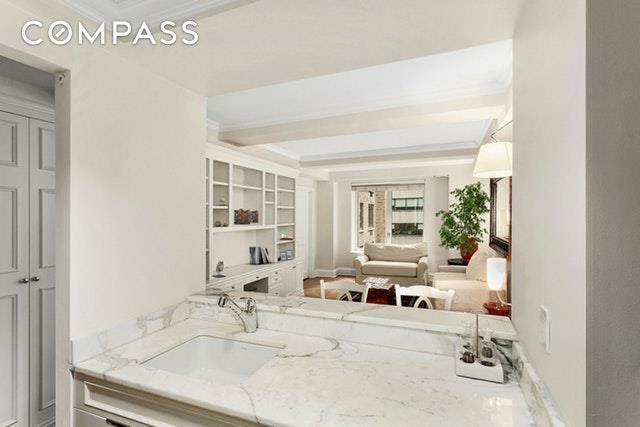 This home epitomizes the rich heritage of Manhattans pre-war architecture! This full service building includes a 24-hour doorman and concierge services, health club, valet service, optional daily maid & laundry services and live-in resident manager. The lobby has double-height ceilings, checkered marble floors and wood-paneled walls. This coveted and prestigious location on Park Avenue is near Central Park, iconic hotels, museums and world class stores and boutiques.